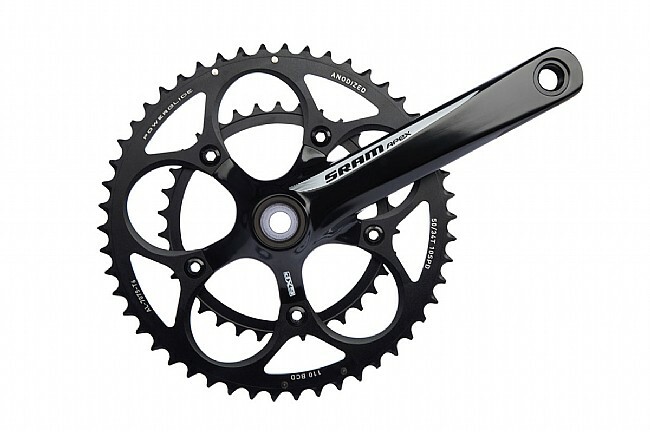 The ultimate crankset for recreational riding. The Apex drivetrain is built around the WiFli concept (Wider, Faster, Lighter). When paired with an 11-32 cassette and long cage rear derailleur, the Apex Compact Crankset offers the versatility of a triple crank with less weight and fewer redundant gears. Forged 6061 T6 aluminum arms keep the weight down while maximizing stiffness. Hard anodized 7075 T6 chainrings with powerglide tooth profiling ensure smooth shifting and long life.